Thanatology, a scientific study of death, asserts that not seeing the dead body of our beloved ones, prevents us from accepting their death. Contemplating the body of the deceased helps us overcome one of the most complex stages of grief: denial. Mariela Sancari and her twin sister were not allowed to see the dead body of their father. She never knew if that was because he committed suicide or because of Jewish religious beliefs or both. Not seeing him has made them doubt his death in many ways. The feeling that everything was a nightmare and the fantasy they both had that they might find him walking in the street or sitting in a cafe has accompanied them all these years. Sancari once read that fiction´s primary task is to favor evolution, forcing us to acknowledge and become the otherness around us. she thinks that fiction can help us depict the endless reservoir of the unconscious, allowing us to represent our desires and fantasies. 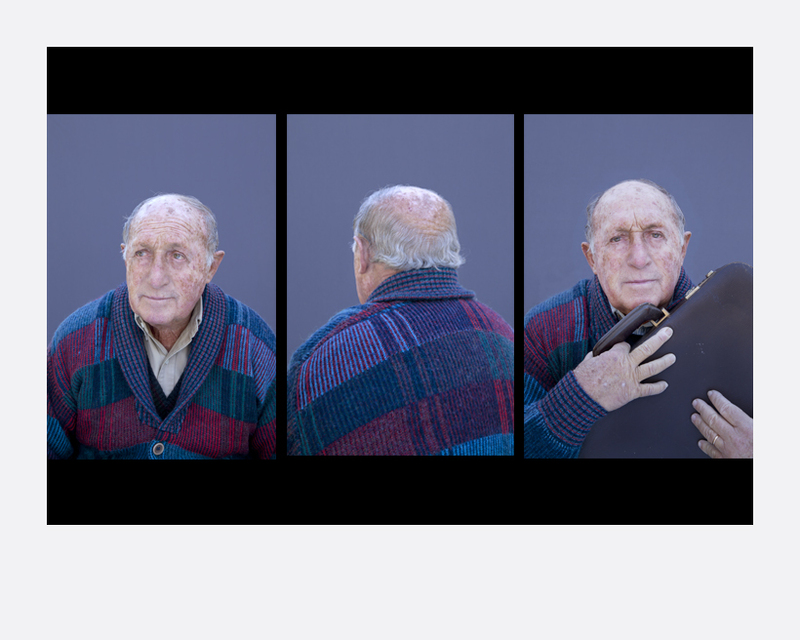 Moisés is a typology of portraits of men in their 70´s, the age that her father would be today if he were alive. Mariela Sancari (b. 1976, Argentina) lives and works in Mexico City since 1997. Her work revolves around identity and memory and the way both are mingled and affected by each other. She examines the thin and elusive line dividing memories and fiction. She has received numerous awards for her work: selected by curator Susan Bright to be included in the 2015 Ones to Watch issue of BJP Magazine, she was also named one of the Discoveries of the Meeting Place of FotoFest 2014 Biennal. 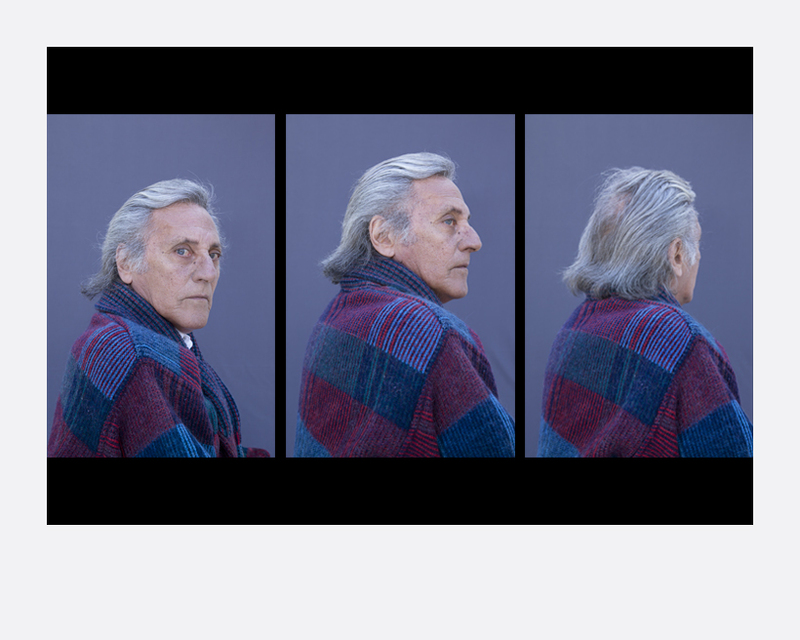 Winner of the VI Bienal Nacional de Artes Visuales Yucatan 2013 and PHotoEspaña Descubrimientos Prize 2014, her work was selected for the XVI Bienal de Fotografía from Centro de la Imagen and received an Honorable Mention in XI Bienal Monterrey FEMSA, with her series Moisés. 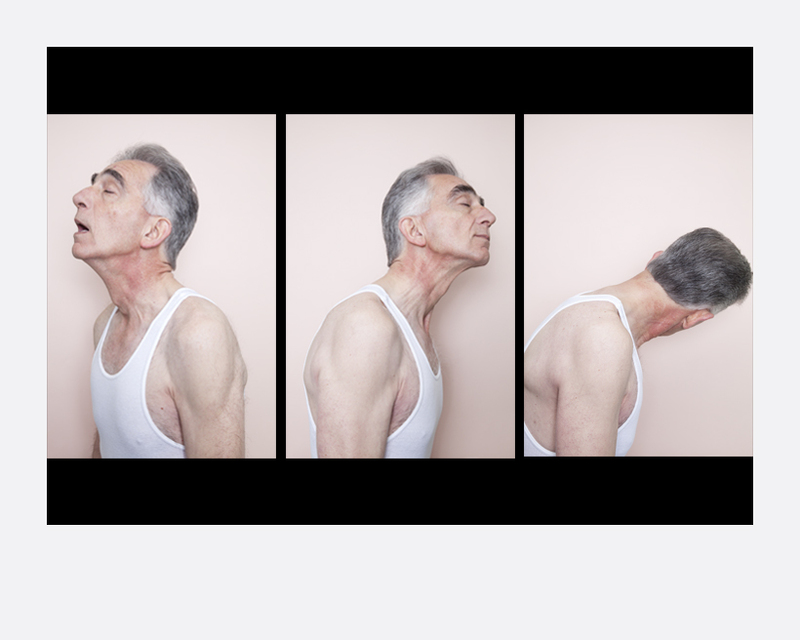 She received an Honorable Mention in the Official Selection Artemergente National Monterrey Biennale 2012 with her series The two headed horse. Her first book Moisés was selected by several curators and reviewers, such as Sean O’Hagan, Tim Clark, Erik Kessels, Jörg Colberg, Larissa Leclair, Yumi Goto and Colin Pantall, among others, as one of the Best Photobooks published in 2015.